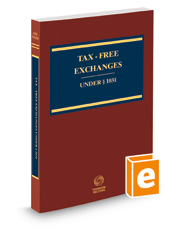 Home > Law Books > Treatises > Tax-Free Exchanges Under Sec. 1031, 2018-2019 ed. Tax-Free Exchanges Under Sec. 1031, 2018-2019 ed.